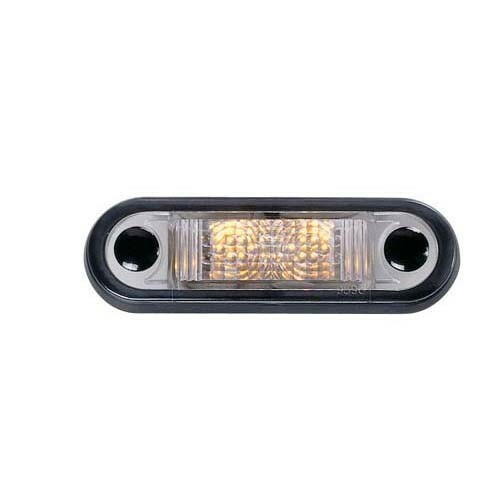 LED Front End Outline Lamp with acrylic lens for increased chemical resistance. Low mounting depth for easy installation. Optic appears clear until illuminated. Mounting: Flush mount. Gasket and screw caps included. Note: Suitable for trailers only.